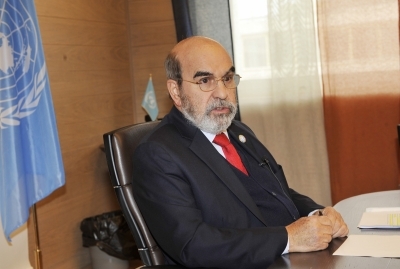 "There is no food security without food safety," UN Food and Agriculture Organisation's Director-General Jose Graziano da Silva told the opening session of the First International Food Safety Conference in Addis Ababa. "Safeguarding our food is a shared responsibility. We must all play our part. We must work together to scale up food safety in national and international political agendas," da Silva said at the event organised by the African Union, FAO, the UN World Health Organization and the World Trade Organization (WTO). "Unsafe food is responsible for hundreds of thousands of deaths every year, but has not received the political attention it deserves," WHO Director-General Tedros Adhanom Ghebreyesus said. "Ensuring people have access to safe food takes sustained investment in stronger regulations, laboratories, surveillance and monitoring. In our globalised world, food safety is everyone's issue," he added. "Without safe foods, it is not possible to achieve food security," African Union Commission chairperson Moussa Faki Mahamat told the conference. "Trade is an important force to lift people out of poverty... when we reconvene in Geneva in April we will consider these issues in more depth," Azevedo said.